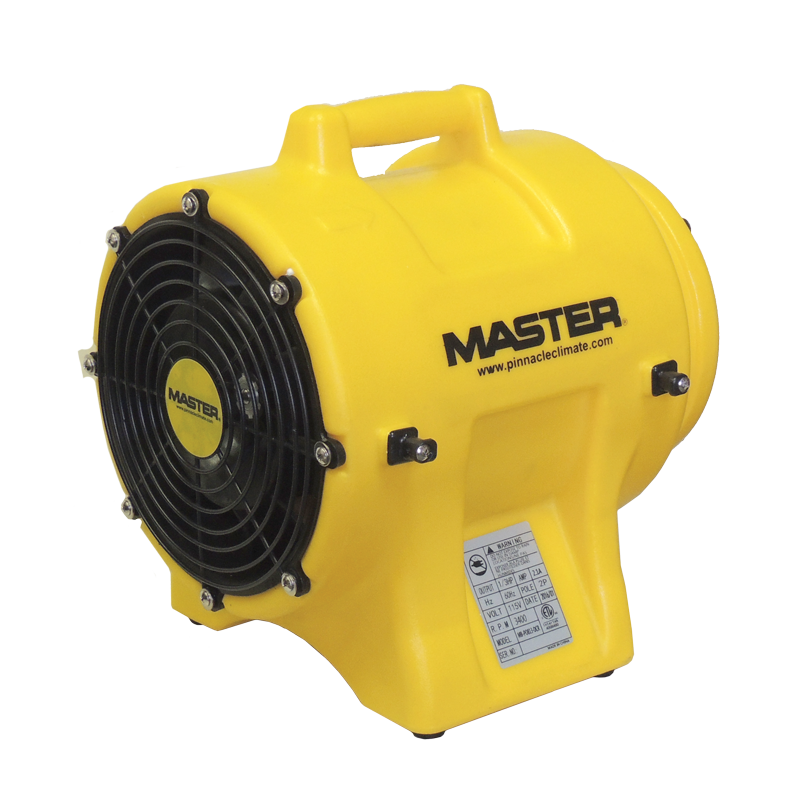 The new MASTER 8″ ventilator is lightweight and has a small diameter, making it ideal for use where space is at a premium. It comes complete with 25′ of ducting in an integrated duct carrier for greater convenience. The ventilator delivers high airflow for safety and is constructed with a dual walled polyethylene housing for exceptional durability and long life. 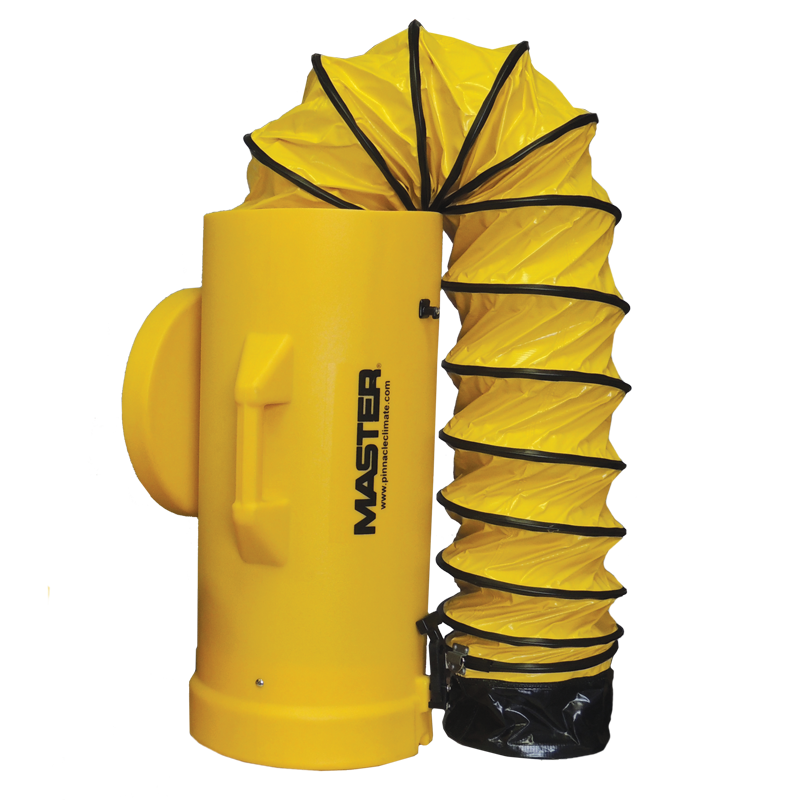 The canister is ergonomically designed to keep the ducting clean, dry and contained for ease of transport and easily attaches to the canister with rubber draw latches. The ducting is a single ply PVC vinyl coated polyester fabric with a standard fastening cuff at the end. 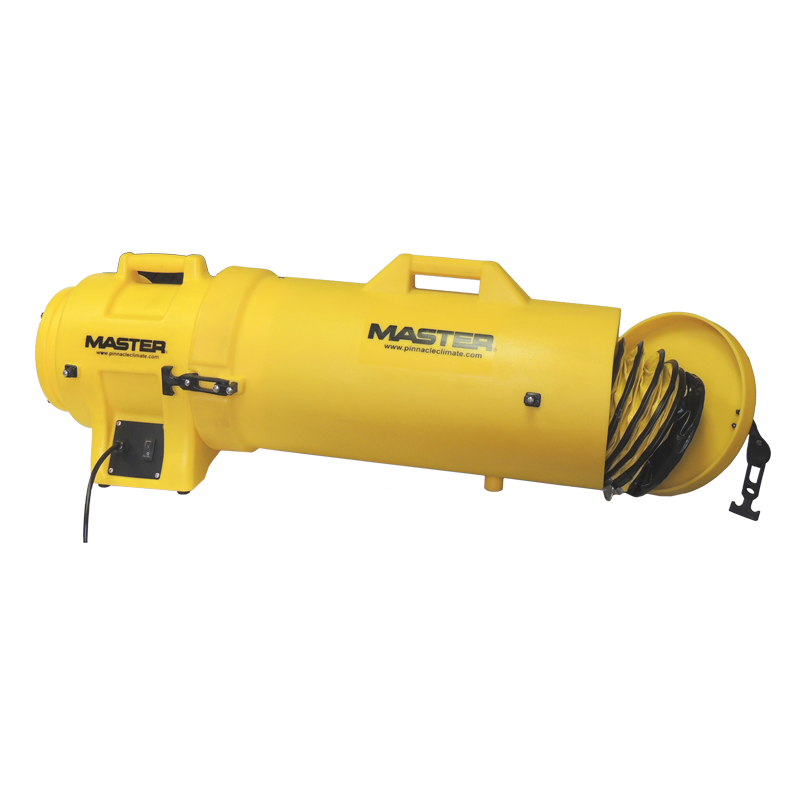 The new MASTER 8″ ventilator and ducting/canister all-in-one unit can be purchased as a complete unit or as separate pieces. For more information go to the Product Model specs, contact the Customer Care Center at 800.779.3267 or email sales@schaeferventilation.com.